Alaska Native News Oct 9, 2018. Alaska State Troopers report that they have apprehended an Anchorage man who has been the subject of an active escape warrant since February of this year when he walked away from the Cordova Center at 130 Cordova Street. 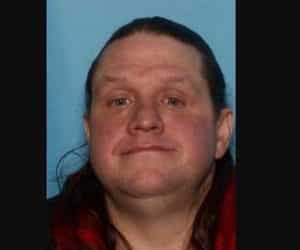 Ryan Calhoun-Moudy, age 38, was apprehended at 3:15 AM on Sunday morning in the Sunshine Tesoro gas station in Talkeetna. When arrested, Calhoun-Moudy was found to be in possession of crystal methamphetamine, and so was also charged with MICS IV in addition to his outstanding warrant. Calhoun-Moudy had been housed at the center following a February 2016 conviction of an armed robbery at an Eagle River home just before Christmas in 2014. Calhoun-Moudy and criminal partners, entered a home on Caribou Street in Eagle River just after 3 AM on December 22, 2014, where three adults and two children were sleeping and at gunpoint demanded money from the residents. During the incidence, one of the men in the home was shot in the leg and struck in the head. Following the robbery, Calhoun-Moudy fled the area on foot but was caught by APD and K-9 units within 15 minutes of the robbery being called in. At 10:40 AM that morning, police located the suspect vehicle that Calhoun-Moudy’s two partners, Brion Ingram, 28, and Matthew Fox, made their getaway in. The vehicle was located on Eagle Street in Anchorage, and after determining that the two suspects were inside a nearby apartment, set up surveillance at that location. Soon, the two suspects emerged from the apartment and got into the vehicle and began driving away. Police blocked the vehicle but in their attempt to get away the suspects rammed four police vehicles before giving up. On Sunday morning, Calhoun-Moudy was transported to the Mat-Su Pretrial Facility on the escape warrant and new drug charge.